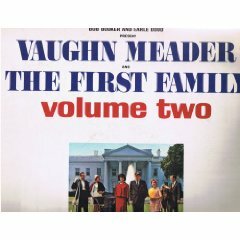 "Vaughn Meader was busy tonight, so I came myself"
). 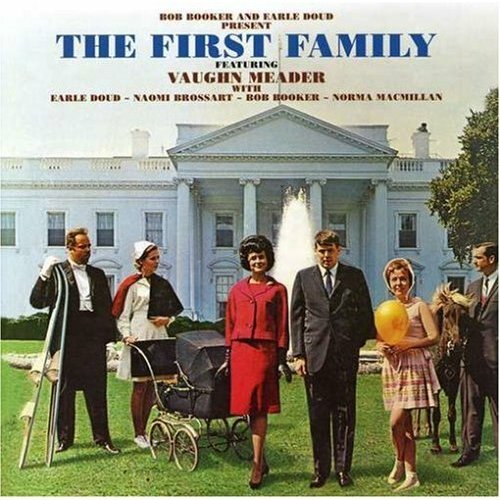 Meader's 1962 album satirizing Kennedy and his clan ("The First Family") became the fastest selling album in history, and still holds the title Best-Selling Comedy Album Ever. It was recorded, as fate would have it, on the day the Cuban Missile Crisis unfolded. If the live audience had known this, recalled Meader, his performance might not have gotten the huge reaction that he thankfully got for the record. A stroke of good luck. Sadly, bad luck arrived only a few months later, on an even more ominous date: November 22, 1963. Lenny Bruce was reportedly onstage at the time of JFK's murder, and legend has it he commented on the tragic event by saying Meader was "screwed". Bruce, of course, made his name by telling the truth, even if it offended; in this case his remark was all too true. 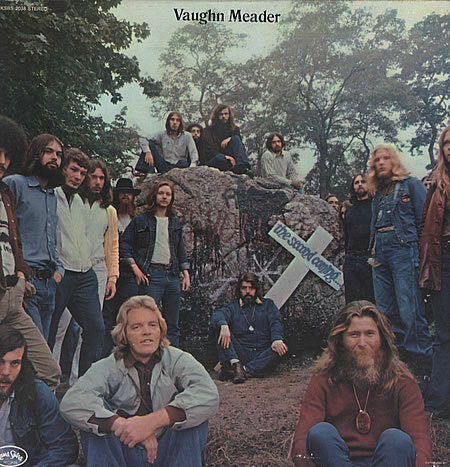 Meader albums were soon taken off store shelves, bookings were cancelled, his career crumbled. 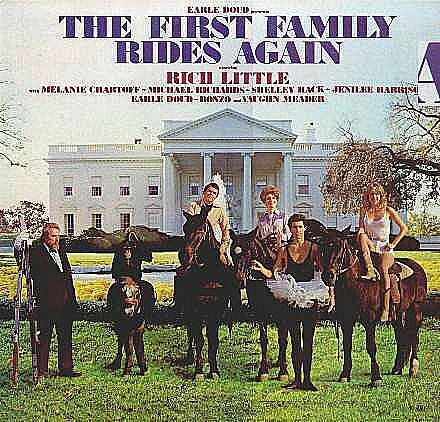 He did continue to record comedy (The Second Coming poked fun at the 70s mega musical Jesus Christ Superstar, and in the 80s Vaughn took part in The First Family Rides Again, with Rich Little as Reagan), but the man so closely tied to JFK never recreated his previous success. ughn Meader died just before the 2004 election, but a documentary called First Impersonator may let his legacy enjoy something of a second coming. The film delves into his rise and fall, while also profiling others who make their living being a Fauxmander In Chief (or a candidate who ran to be). Let's hope a new generation will see the doc and discover the magic of Meader, the man who impersonated and impressed our leader, back when comedy records were hitting their heyday as a mass mirth medium.